Quantity: 1 x One Cup Loose Leaf Tea Infuser/Strainer (Picture Shows 2). Comes with its own Lid/Stand. 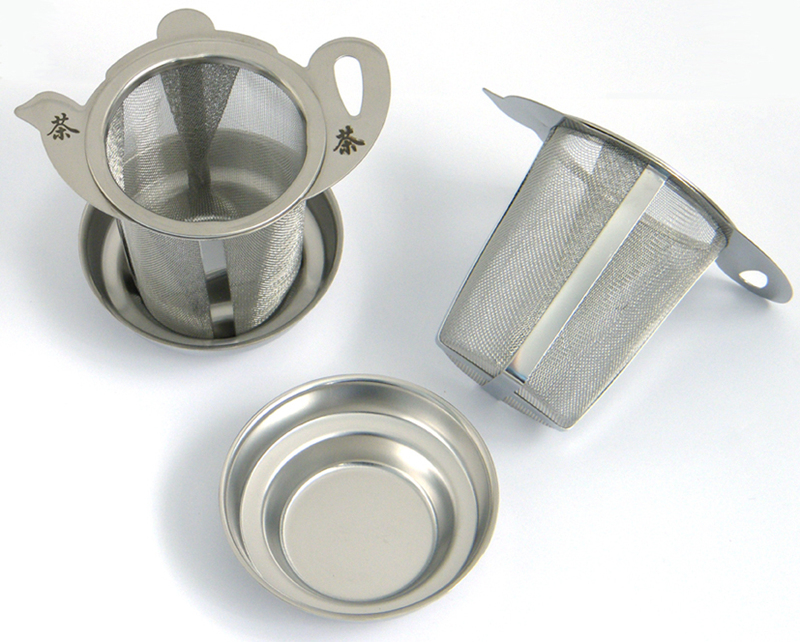 A perfect one cup strainer / infuser in stainless steel. Comes with a lid, which most people consider gives a better 'brew'. Extremely useful for any loose leaf tea but really comes into it's own when serving Green, White, Oolong etc Teas which can be re-infused 3 to 4 times each. So, lift the infuser from the cup, take the lid off and turn it over, then place the infuser on it and your leaves are there ready to infuse again and again with little fuss or effort. Will also fit many round neck opening teapots. This handy little item is light enough to pack when going away and gives you back the flexibility of teabags when using loose leaf tea.